In Nephi's great vision of what would become of his people, he was shown our day and the restoration of the gospel. 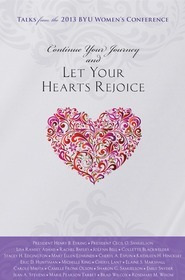 The theme of the 2012 BYU Women's Conference centers on the description he gave of the "covenant people of the Lord . 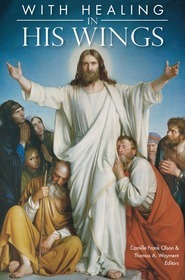 . . scattered upon all the face of the earth." 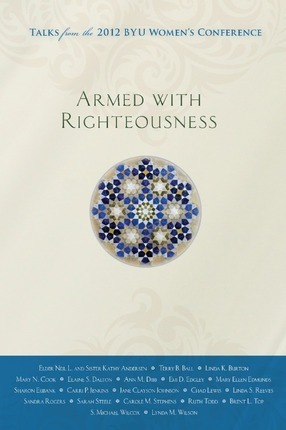 Nephi tells us that one characteristic of the "church of the Lamb" is that "they [are] armed with righteousness and with the power of God in great glory." 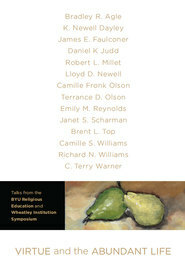 The talks compiled here take that theme to heart — both by showing us ways in which we can, as daughters of God, more fully realize that prophetic statement through the things we do in our families, our congregations, and our communities, and ways in which we already fit Nephi's description. 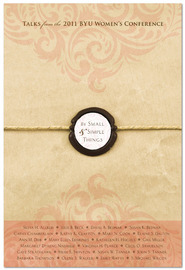 In this collection of addresses from the 2012 BYU Women’s Conference, chapters by Elder Neil L. Anderson and his wife, Kathy Anderson, Elaine Dalton, Ann M. Dibb, Jane Clayson Johnson, Sandra Rogers, S. Michael Wilcox, Ruth Todd, Chad Lewis, and Matthew Richardson encourage readers to do the important things every day that will help us stand strong and give us power over those things that seek to detract from our happiness as individuals and families.